With millions of dollars on the line, sports teams are demanding the latest technology to maximize their players' performance. Whether it's wearable sensors with GPS capability or motion-tracking cameras capable of capturing 25 images per second, the science of athletics has moved beyond heart-rate monitors and into the world of big data and analytics. Representatives from some of the world's leading firms - including the global leader in athlete analytics, Catapult, and the motion-tracking company behind the NBA stats revolution, SportVU - will talk about how their products are changing the sports world and what lies ahead with Kirk Goldsberry, a Harvard scholar best known for his in-depth analysis of the NBA for Grantland. This session is part of the brand new SXsports programming at SXSW 2014. Adir is a qualified MD, technology entrepreneur and investor. He has successfully exited several companies and has been featured in articles in the WSJ, Forbes, NYT, ESPN amogst others. Adir is currently an investor and Chairman of a several companies including: Australia's largest cashback website StartHere.com.au, online hotel booking website CheckIn.com.au, and Catapult Sports - the global leader in elite athlete analytics. 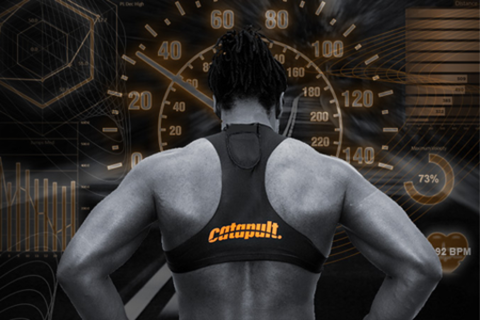 Catapult Sports counts hundreds of clubs globally as its clients including teams in the NFL, NBA, NHL and Division 1 Colleges. Brian Kopp joined STATS in 2008 and is currently Senior Vice President of Sports Solutions. In this role, Kopp leads all aspects of new business development including the revolutionary SportVU player tracking technology. SportVU is installed in all 29 NBA venues and has changed the face of basketball analytics. Kopp was named a 2013 Idea Innovator by Sports Business Journal and SportVU has won numerous technology and innovation awards. Throughout his career, Kopp has held strategy and development positions for a variety of growth-oriented companies. Prior to joining STATS, he held leadership roles at Career Education, NAVTEQ, Svoboda Capital and Merrill Lynch. Kopp received his MBA from Northwestern University and BA in Economics from Wabash College. Kirk Goldsberry is an academic turned journalist. Until the summer of 2013, he was a professor of geography at Harvard and previous to that taught at Michigan State University. He received a PhD from UC-Santa Barbara in 2007, where he studied mapping and visualization. It is these interests that Kirk has most recently applied to sports. More specifically, Kirk uses mapping and visualization techniques to study athletic performances. His work appears on Grantland a few times per week.